It is widely recognised that the increasing importance of the US‒Japan alliance is strongly linked to emerging threats in the Asia Pacific, with China’s rise and the ambitions of North Korea having brought the two allies closer together. This book, however, seeks to question whether these factors are indeed the sole determinants of this enduring alliance. A pioneering study conducted through the lens of neo-Gramscianism, this book unravels the intricate political dynamism involved in the US‒Japan alliance. 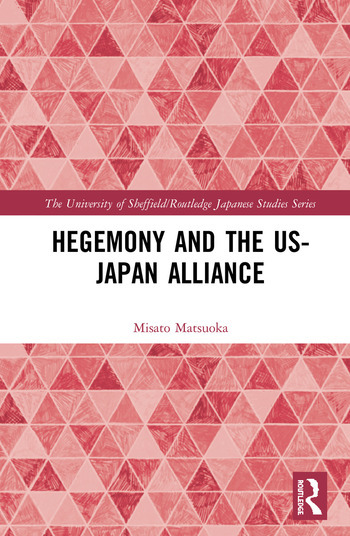 It provides an innovative attempt to link the concept of alliances to hegemony and thus examines Japan’s relationship to US dominance in the region. Building on existing scholarship, it also seeks to examine how Japan’s continuing dependence on the US, and the burden it places of citizens living near US military bases, may affect the durability of the alliance in the post-Cold War era. As such, this book presents an alternative theoretical tool in the field of international relations to analyse the political nature of the alliance, as well as US hegemony in the region. This book will be useful to students and scholars of Japanese Politics and foreign policymaking, as well as International Relations and Security Studies more generally. 6. Breaking Away from the Postwar Regime? Misato Matsuoka is Assistant Professor at Teikyo University, Japan. Her research interests include International Relations theories, security studies, Japanese foreign policymaking and regionalism in the Asia-Pacific.